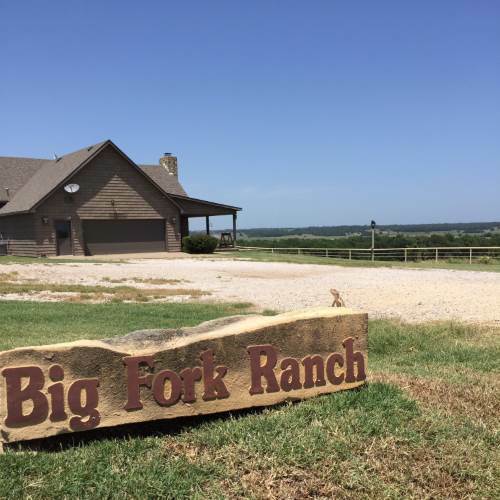 The Big Fork Ranch (Kaw Land & Cattle) is a working and recreational ranch. The ranch is south of Ponca City on the Arkansas River valley. The ranch was established in 1974 by Mr. Jerry Evans. The Big Fork Ranch soon became a place that the Evans Family could share their passion for the outdoors with friends and customers. The ranch is highly managed for upland game such as quail, pheasant, and turkey. The ranch is licensed through the Oklahoma Department of Wildlife as a low fence commercial hunting area, where traditional quail hunts are done with some of the best bird dogs in the country. For 20+ years, the ranch has been managed for whitetail deer focusing on herd health and trophy class bucks. The ranch participates in ODWC’s Deer Management Assistance Program (dmap), allowing the harvest of adult does so the ranch can maintain a ratio of 2:1 doe:buck. The Big Fork Ranch and Evans & Associates is committed to the preservation and heritage of the outdoors, the shooting sports, and the American sportsman. The ranch is a retreat from the hustle and bustle of the modern day lifestyle. It is a resource for community civic group events and a place of beauty and solitude that makes it easy to meditate important business decisions either alone or with management.